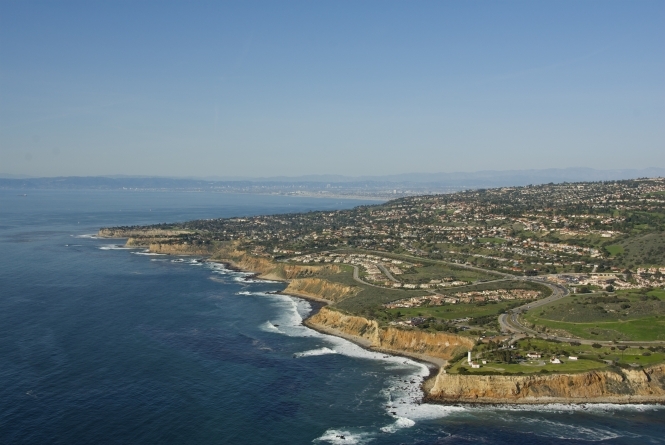 The Palos Verdes Peninsula rises 1,457 feet above the South Bay of Los Angeles County. It’s an oasis of greenery in a region dominated by concrete and asphalt. 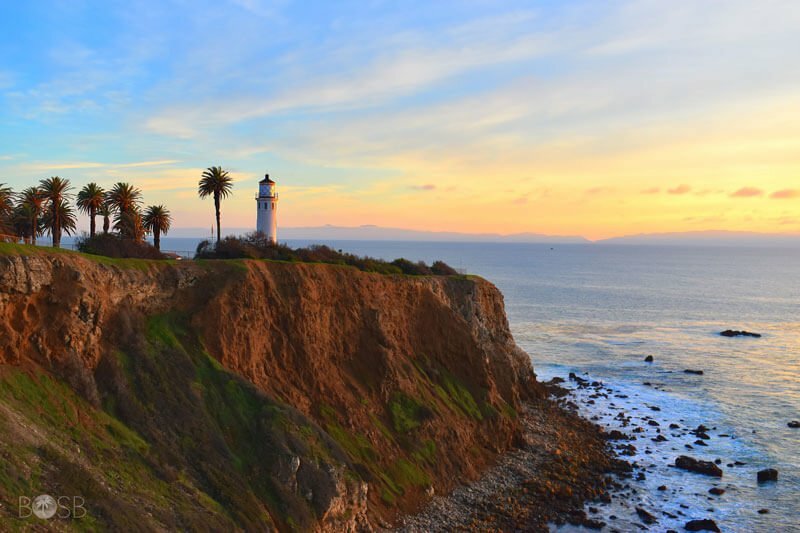 Featuring horse trails, a lighthouse, ocean cliffs, tide pools, roaming wild peacocks, and gorgeous Pacific Ocean and Catalina Island views; there is much to see and do on the Palos Verdes Peninsula. The Peninsula is made up of four cities: Palos Verdes Estates, a mostly upscale area that was settled the earliest of all the cities (in the 1930’s) and has a country club; Rolling Hills, a gated community that has huge lots and is devoted to a rural lifestyle including horses and other farm animals; Rolling Hills Estates, a more affordable community at the North front of the hill, just below Rolling Hills, which also has a huge equestrian heritage and a country club; Rancho Palos Verdes (RPV), which wraps around “the back side” of the Peninsula and also has many homes with spectacular views. 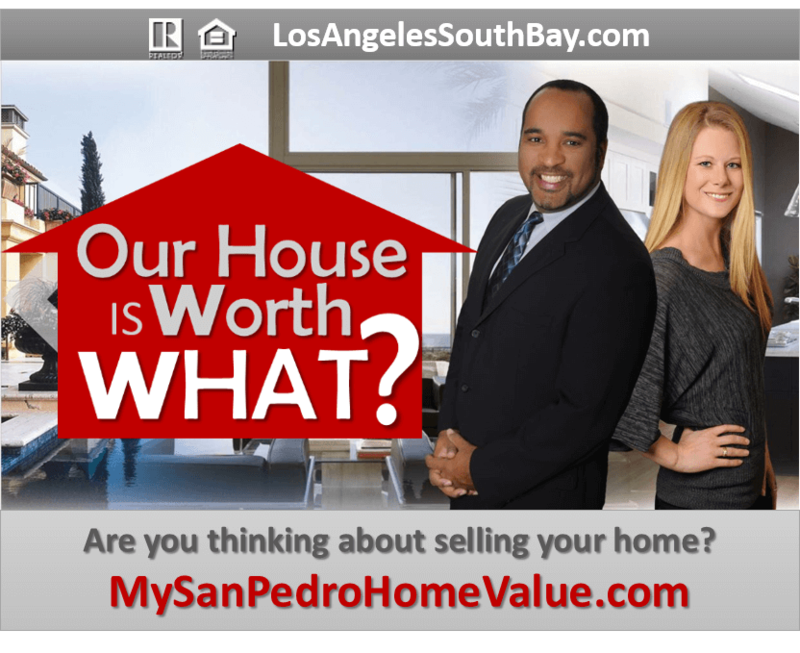 RPV has the most “tract” type homes on the hill and also hosts 3 golf courses, and the unincorporated Palos Verdes Peninsula area, which is very similar to Rolling Hills Estates except that it is only unincorporated Los Angeles County. The Peninsula is a highly sought after location largely because of its schools. The PVPUSD serves all cities on the Peninsula, and schools are recognized for outstanding achievement at the local, state and national levels. There are 11 elementary schools, three intermediate schools and two high schools. It should be noted that any student in any location in the district may choose either one of the two high schools regardless of location. U.S. News and World Report has released its annual list of the best high schools in the country, ranking the schools on a national and state level. Schools are ranked based on their performance on state-required tests and how well they prepare students for college. Palos Verdes Peninsula High was ranked 30th within California. It earned a college readiness index of 71.3 because 76 percent of students took Advanced Placement classes and a passing rate of 92 percent. Palos Verdes High was ranked 85th in the state with a college readiness index of 56.1. Sixty-eight percent of the students there took AP classes with a passing rate of 76 percent. Palos Verdes Peninsula High and Palos Verdes High were also ranked 197th and 498th nationally, respectively — that earned them gold medals. The 2017 rankings of best high schools identify the top-performing public schools at both the national and the state level and include data on more than 28,000 high schools. In California, 85 high schools were given gold medals by U.S. News, 416 received silver medals and 154 schools received bronze medals. In 1882, the land was deeded to Jotham Bixby who in turn sold the land to a consortium of New York investors spearheaded by Frank A. Vanderlip, Sr. in 1913. 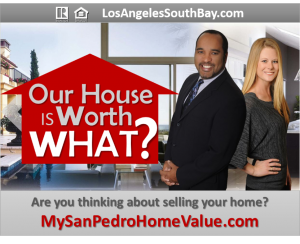 Vanderlip bought the entire Peninsula sight unseen for reportedly $1.5 to $2 million (the price of a single average home on the Peninsula today). Vanderlip covered every mile of his new acquisition on horseback and formed his vision of a magnificent community by the sea. Deed restrictions were imposed on the land in 1923 and outlined provisions for development of the new community. The restrictions included specific items to “preserve the fine views of ocean, mountains and park,” and “increase with the years the wonderful natural beauty of the property.” The document established set back requirements, prohibited billboards, and imposed a system of architectural review on builders. Subdivision of the land and construction of the first homes began in the early 1920’s. Vanderlip hired the famous Olmsted Brothers landscape architecture firm (sons of Frederick Law Olmsted, designer of Manhattan’s Central Park), to help design and plan the communities. To this day all of the Palos Verdes towns have very strong architecture and development committees that tightly regulate building. The cities’ collective efforts have been exceptionally effective in preserving open space and avoiding over-development. Over the years, the Palos Verdes Peninsula Land Conservancy has successfully preserved 1,600 acres of open space on the Palos Verdes Peninsula for historical, educational, ecological, recreational and scenic purposes so visitors may enjoy peaceful solitude and can learn about the natural environment, and where native plants and animals can thrive. 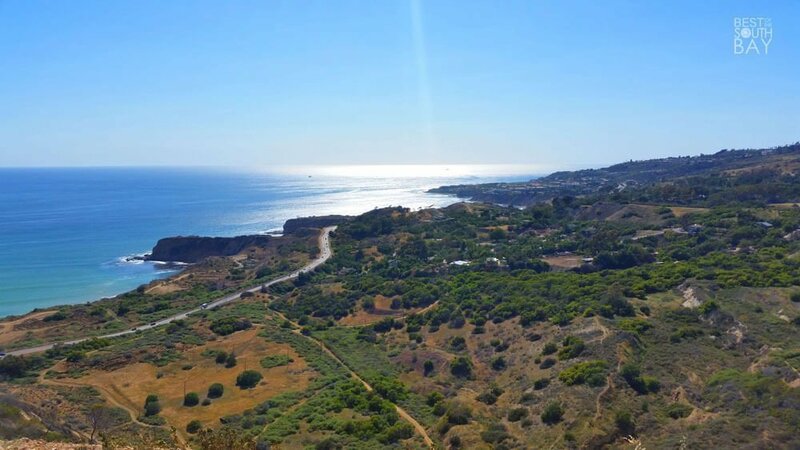 The Palos Verdes Peninsula Land Conservancy hosts a full calendar of popular activities, volunteer workdays, training programs, and special events throughout the year. 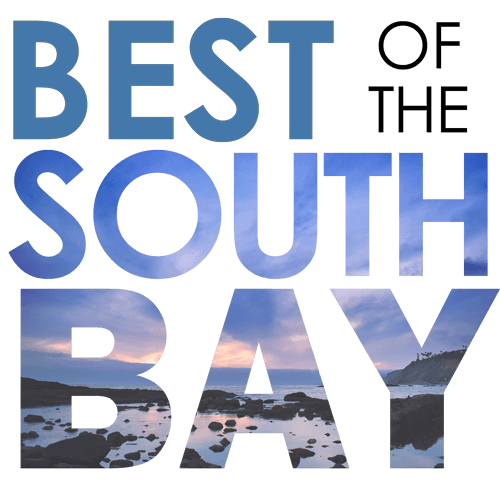 View our South Bay calendar for upcoming events around the Palos Verdes Peninsula.